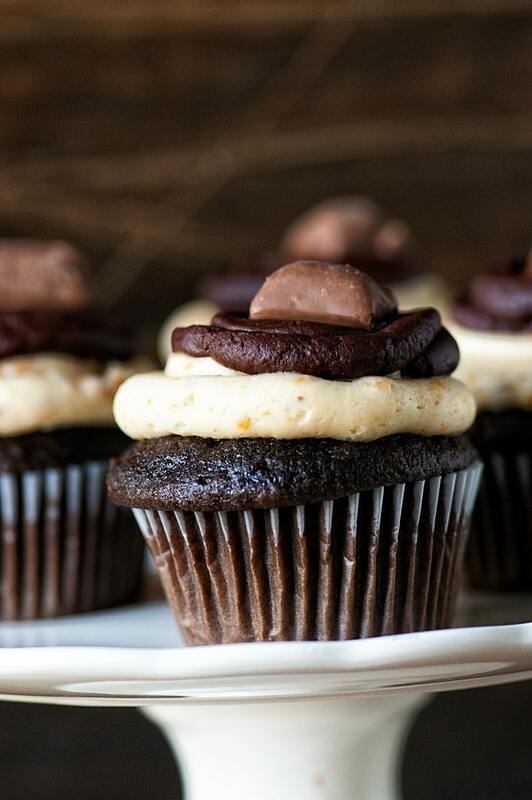 Butterfinger lovers unite and eat these Dark Chocolate Butterfinger Cupcakes! 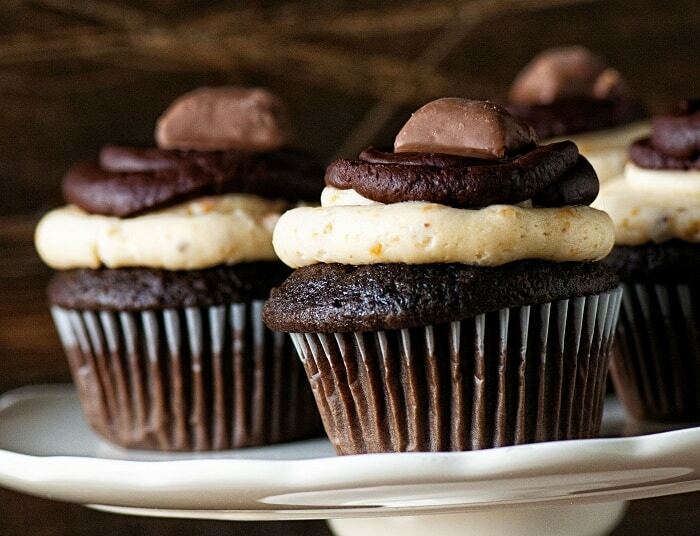 Dark chocolate cupcakes topped with over the top Butterfinger buttercream frosting and chocolate ganache. The ultimate way to eat your Halloween candy. The first Halloween that we moved to our new neighborhood we had no idea how many Trick or Treaters we would get. Common sense would have told us to ask the neighbors but no one ever accused us of having common sense. 🙂 So we just started buying bags of candy every time we went to the grocery store…and food bloggers go to the grocery store a lot. We had so much candy. So much. And while we ate our weight in candy before Halloween we still had a ton. We got one Trick or Treater that year, the neighbors dressed up their pug as a bumble bee since they felt bad that no one came by. And while he was too cute for words, he wasn’t really going to take our Snickers. We did give his mom and dad some candy but at the end of the day we had more candy than I knew what to do with. 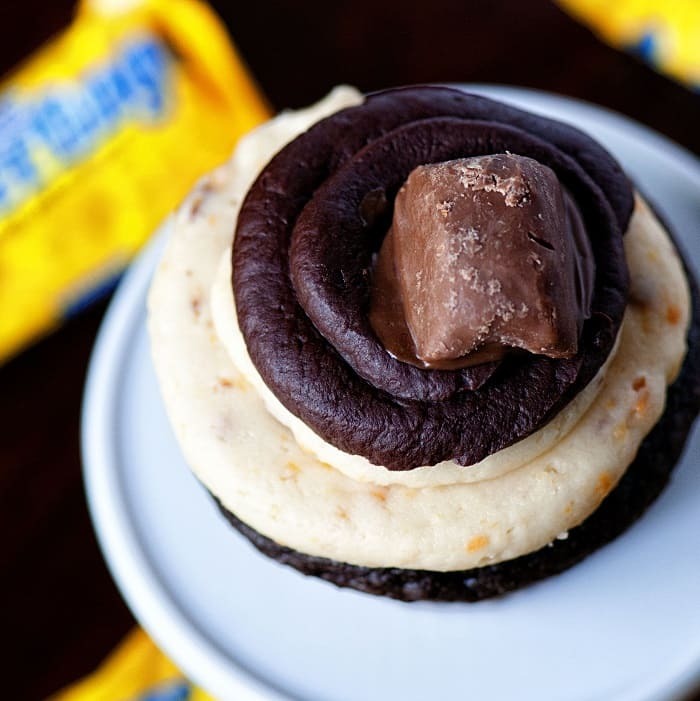 I had a variety of candy to choose, from but I asked my Culinary Concoctions by Peabody readers on Facebook which would they like to see in a cupcake and hands down the winner was Butterfingers. I don’t blame them. The hard part was not eating them before they went into the frosting. 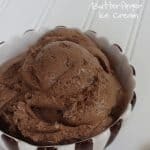 If you are reading cake mix and groaning feel free to make your own cupcake from scratch (THIS is the recipe I use most for chocolate cupcakes). I went with box this time because cake mix was on sale for $.97 a box and you just can’t beat that especially when you have teens at home who can eat a whole pizza without blinking an eye (or gaining a pound…grrr that youthful metabolism), so we are all about saving money where we can. If you are not a fan of dark chocolate feel free to use a different chocolate cake mix (or scratch recipe). I just felt that the dark chocolate help cut some of the sweetness from the candy in the buttercream frosting. My hockey team were the recipients of the cupcakes and they thought they were insanely good and I’m sure you will too! Set aside to cool while you prepare frosting. Using a stand mixer with a paddle attachment beat together the butter, cream, and vanilla on medium-low until smooth and well-combined. Once powdered sugar is barely mixed in, increase speed to medium-high and beat for 2 minutes. 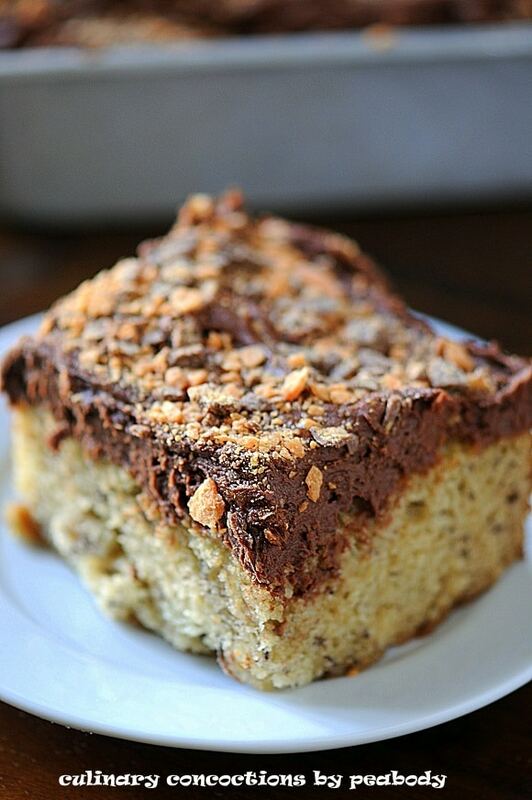 Add in the Butterfinger pieces and beat until the Butterfingers are crushed and the frosting is back to smooth. Generously frost or pipe frosting on cupcakes. 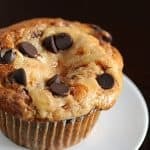 In a microwave safe bowl, heat chocolate chips and butter, stopping every 30 seconds to stir until combined and smooth. Option two is to let the chocolate cool slightly and pipe it on to the top of the cupcake. I went with option two. 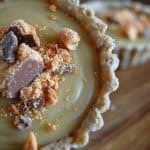 Add a Butterfinger Bite to the top as a garnish. 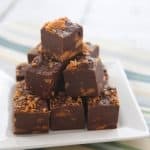 Want more recipes with Butterfingers? Wow, these look amazing. Dark chocolate and Butterfingers? Count me in! This gives me a perfect excuse to buy Butterfingers for Halloween! Oh, how gorgeous are those cupcakes?! So happy they were posted as scheduled – bittersweet for sure. I’m sure Joan must have requested samples prior to posting, these look amazing!! I love butterfingers too and I am sure I would have requested these cupcakes too!! What a gorgeous cupcake! I’m just drooling looking at them and I’m sure Joan would love these cuties too! These look amazing! Butterfingers were my favorite candy bar as a teenager! Joan would’ve loved these delicious cupcakes! I bet that frosting is amazing, I love Butterfingers! 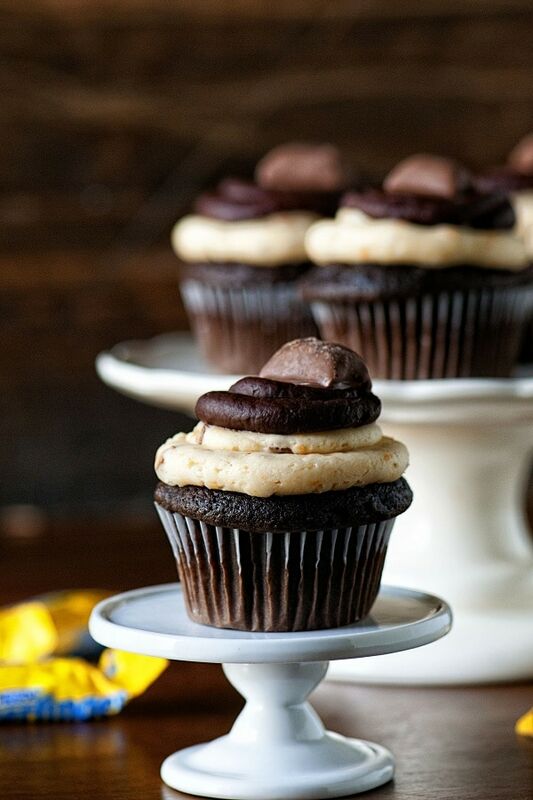 Joan would love these cupcakes… they look so incredible! I love Butterfingers SO MUCH. Fabulous cupcakes, Peabody! 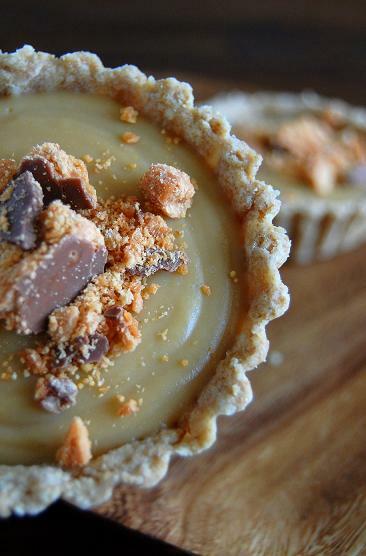 Butterfingers have always been one of my favorites, so I’m very excited to make these! 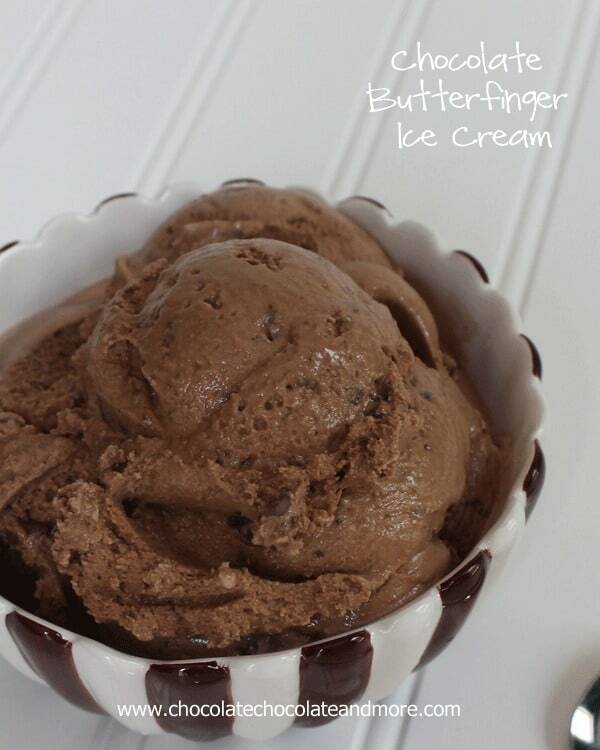 Butterfingers are one of my absolute favorites! I actually have some in my pantry right now, can’t wait to make these! 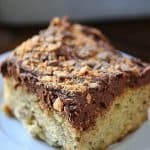 A sweet toast to one of the sweetest ladies I’ve met while blogging. These will be the centerpiece of the Halloween pot luck. 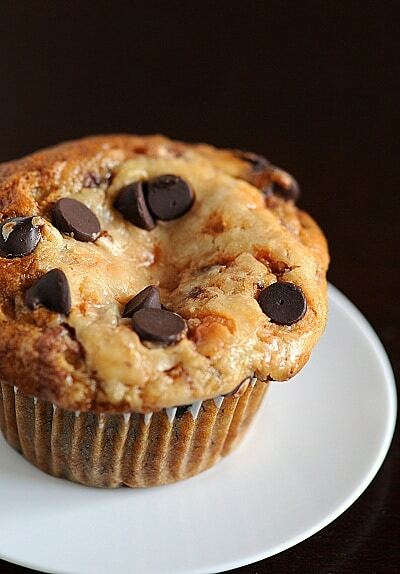 These look and sound amazing, Peabody! I’m positive Joan would have absolutely loved them. 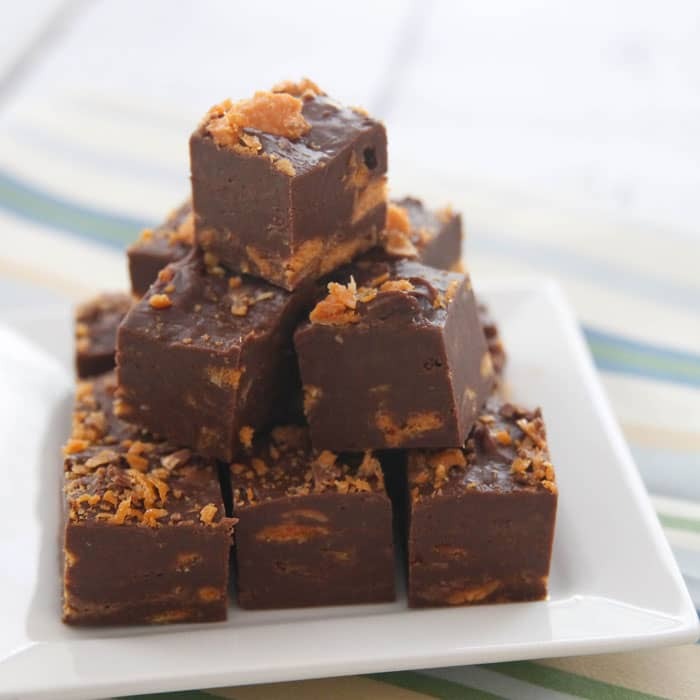 My dad loves Butterfingers, so we’ll be trying these very soon.